The Reef Resort was winner in the 201 Trip Advisor Travelers' Choice Awards. We were awarded as one of the Top 25 Best Romantic Hotels in New Zealand. 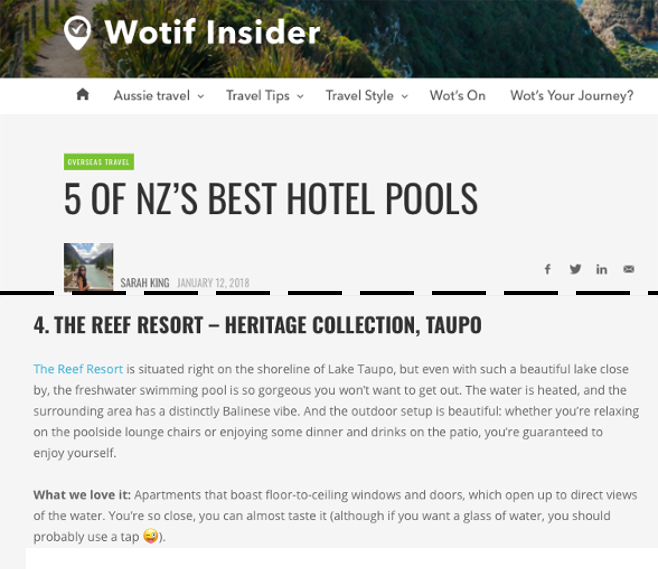 NZ Herald Review Article, September 2018 - Staying in one of our Lakefront Luxury Apartments - click image to read article. 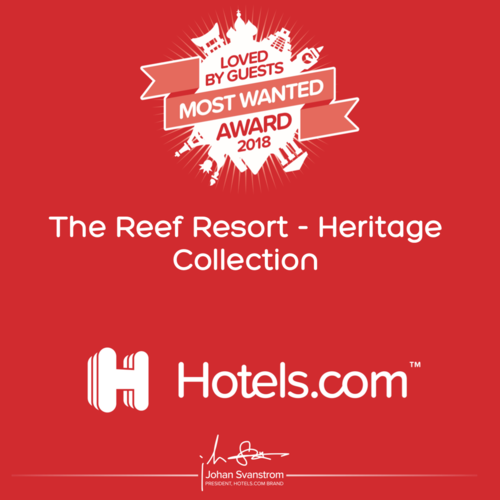 The Reef Resort was winner in the 2018 Trip Advisor Travelers' Choice Awards. We were awarded as one of the Top 25 Small Hotels in New Zealand and Top 25 Hotels for Service in New Zealand. 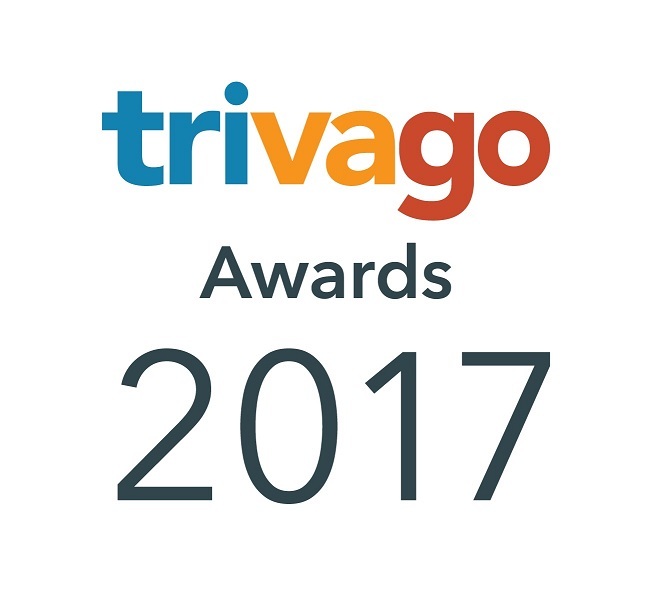 The Reef Resort Motel is the 21st highest-rated accommodation in the Waikato Region in the trivago Awards 2017.